Sokaku Mochizuki is a Buddhist monk who practices the Authentic Pathless style Martial Arts (Seiden Mudō Ryū Bujutsu), a fighting style created to hunt down Shura after its founder lost to the Shiranui style. He is said to has the strongest psychokinetic power in the history of the art's style. 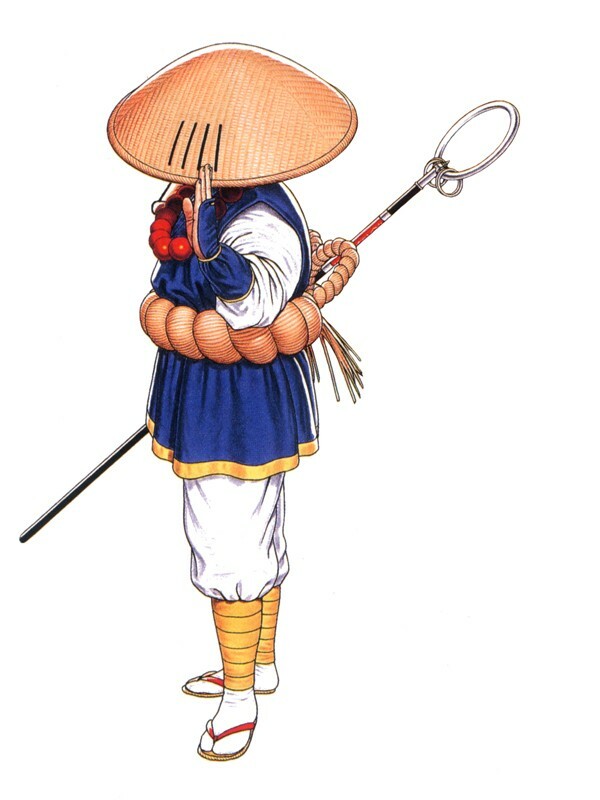 In Fatal Fury 3 and the original Real Bout, his objective is to seek the Scrolls of the Jin and destroy them. Sokaku has to be one of SNK's most generic designs. 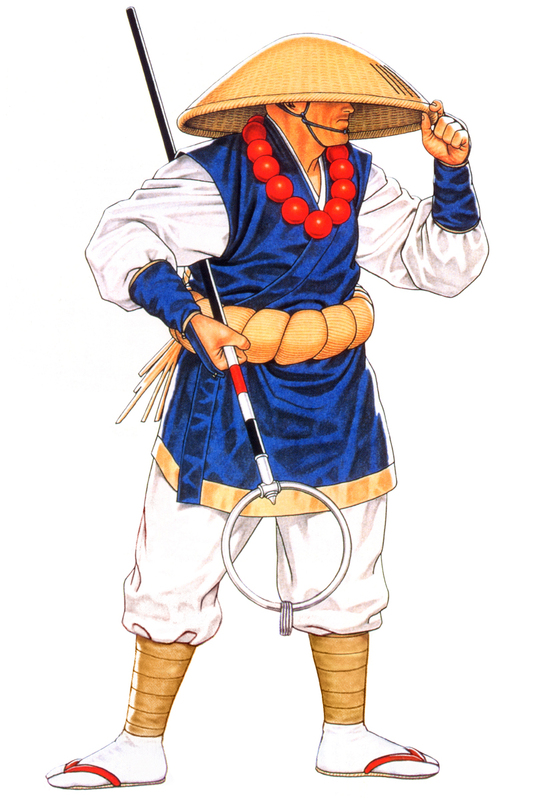 I suppose my judgment isn't that far off, because SNK never brought this guy out of the Real Bout series. Good call SNK... at least they know when to scrap a lame design! This guy is just trying so hard to look cool, but it's really not working for him. He doesn't really fit into the Fatal Fury series either, if you ask me. On a side note, I don't think Sokaku has any friends. lol.